The Brownies consist of girls aged 7 to 10 years old. 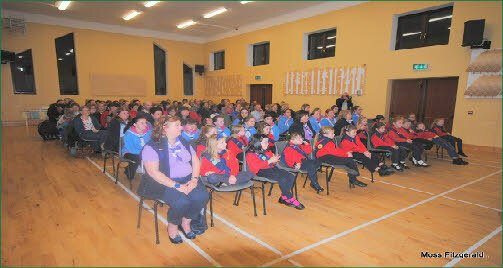 Guides, Ladybirds and Brownies are all part of the Irish Girl Guide Movement. Guiding enables girls and young women to develop to their fullest potential as responsible citizens of the world. All learning is done through fun and games. Guiding is a global organization and expanding every year. Annual outings are a favourite with the children, the programme of events include crafts, games and music. The Brownies fundraise for many charities, and we realise how important this is to make young people know how they can improve the lives of those less well off. We celebrated our 30th Anniversary in November 2014 at the community centre and was attended by a large crowd. The celebration was an opportunity to thank many people for their support down through the years. 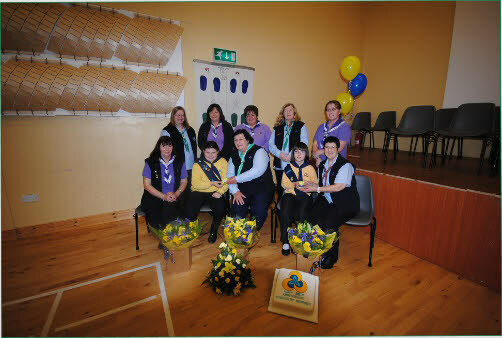 We were honoured to have the President of Guiding in Ireland, Maureen Dillon, the Chief Commissioner Helen Colcannon, the Regional Commissioner, Rosemary O’ Driscoll and the Area Commissioner, Liz Downes with us on the night. This was followed by a party for all those present. It was indeed a night to remember. The current Leaders - Norma Connolly, Helena Heenan and Delia McGrath are busy planning the coming years’ programme. "Free Being Me". This programme will teach the girls how to value themselves for who they are. 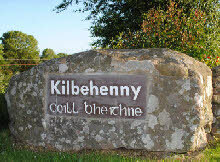 Brownie meetings are held every Thursday evening from 6 to 7pm in the Kilbehenny Community Centre.